Yes! 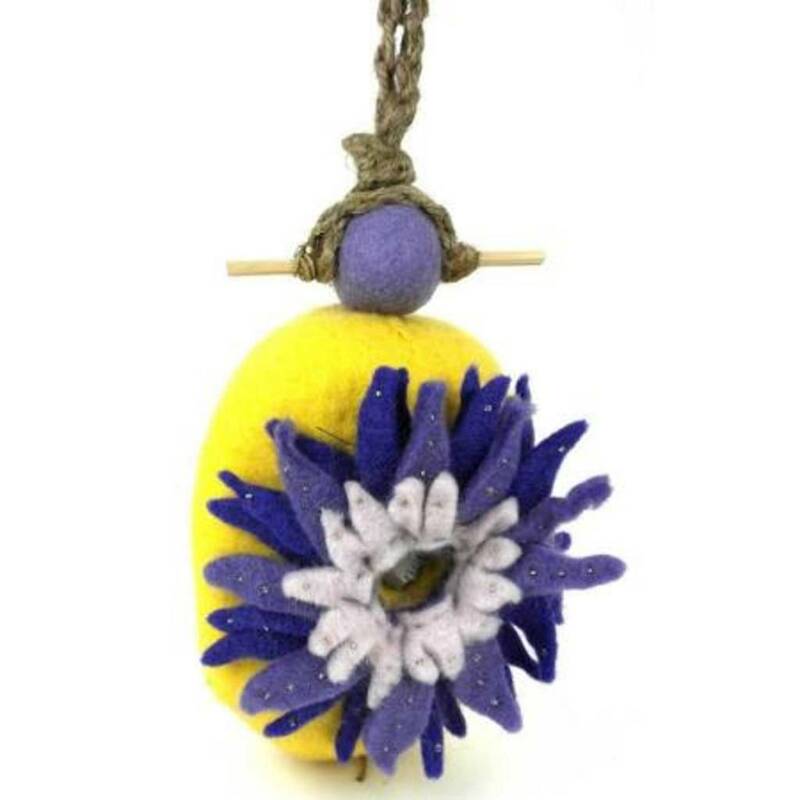 This hand felted wool birdhouse can be hung outside as well as inside, and yes, small birds like wren, chickadees, nuthatch and titmouse may go inside! The 1 ¼” hole is sized for use by small birds but can be enlarged to 1 ½” to appeal to larger birds such Bluebirds and Tree Swallows. Birds might also pull at the wool to use in making their own nests. Hang one up and see what happens! The body is made of 100% naturally water repellent wool and rarely gets wet inside. Surface moisture from dew, rain or snow quickly dries in the open air. Wool is also naturally dirt and mold resistant. Generally, a good brushing is all that’s needed. Otherwise, work the spot with mild soapy water, then rinse and air-dry. Do not use a washing machine or dryer. Will last forever in a protected place such as a porch or inside where its highly decorative qualities are sure to bring a smile to everyone. Use it as a door greeter, a porch ornament, or to enliven a kitchen, bath or bedroom! If placed in direct sun colors will begin to fade within a month as with any dyed fabric, but the opening and body will keep its shape in even the hardest weather. 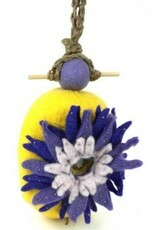 Made with sustainably harvested materials including wool, hemp for the hanging cord and a bamboo perch. Hand crafted by skilled artisans working in a fair trade production center in Kathmandu, Nepal.